This lignan treat recipe for dogs is super easy to make, and is packed with antioxidants and animal protein. It is particularly beneficial to dogs with Cushing’s disease because of the lignans in the treats. Cushing’s disease is prevalent in dogs, especially middle-aged and older dogs. Most dogs with Cushing’s are diagnosed between the ages of 10 and 12. Common signs of Cushing’s are increased thirst and urination, appetite gain, symmetrical hair loss, weak legs, and a pot belly appearance. Want to know more about Cushing’s disease in dogs? Interested in learning how to manage canine Cushing’s holistically? Be sure to read my pages on canine Cushing’s disease and canine Cushing’s diet and natural remedies. They are a type of plant compounds called polyphenols. Lignans are found in many plant sources, such as seeds (e.g. flaxseed, sesame seeds, pumpkin seeds), rye, some vegetables (e.g. broccoli, kale, cabbage, Brussels sprouts), and berries. Flaxseed is the richest dietary source of lignans. The majority of lignans are found in the hull. In fact, the hull contains a significantly higher amount of lignans than the whole flaxseed. The lignans from flaxseed hulls are of a type called SDG lignan. Another type of lignan called HMR lignans are found in the tree knots of Norway Spruce Pine. Both SDG and HMR lignans seem to have the same effect on the body as far as Cushing’s disease is concerned – they can lower the cortisol hormone levels. 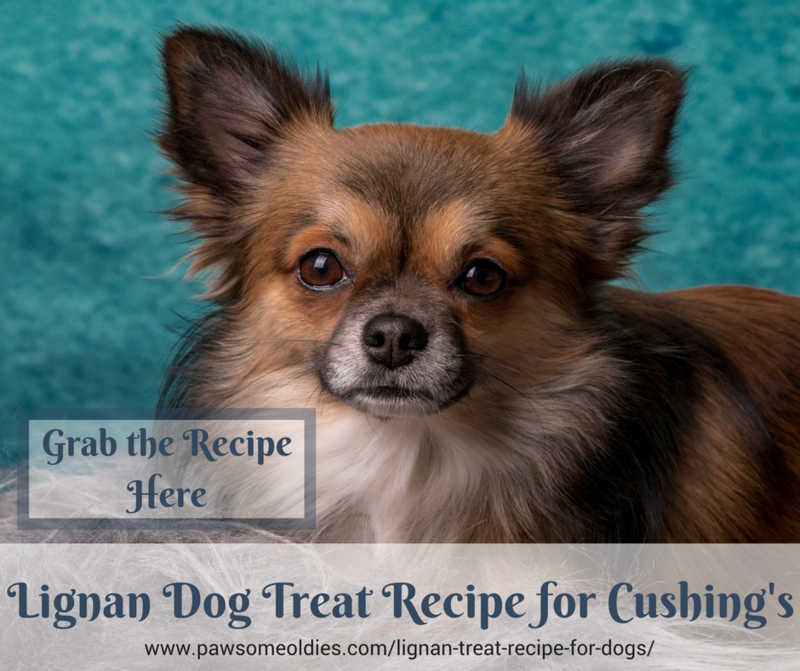 As such, Dr. J. Oliver at the University of Tennessee Veterinary College and many other holistic vets suggest using lignans as a complementary treatment for canine Cushing’s. 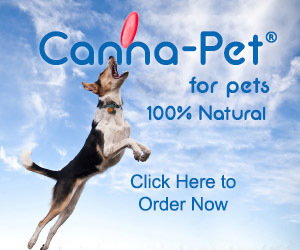 In addition to being able to lower cortisol hormones in the body, what other benefits do they have on dogs? Flaxseed lignans help reduce blood pressure and blood cholesterol levels. Dogs with Cushing’s tend to have high cholesterol levels and are more susceptible to high blood pressure. So, adding lignans to the diet of a dog with Cushing’s is beneficial. In addition, flaxseeds are rich in antioxidants, and may help reduce the risk of cancer. Particularly, according to a paper by Oregon State University, lignans can help reduce the risk of hormone-related cancer (e.g. breast, prostate) in people. 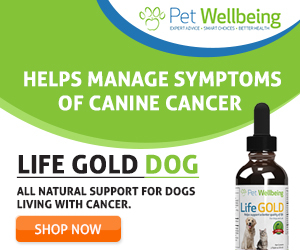 Although no research can be found on dogs, it doesn’t hurt to give our oldies flaxseed lignans, does it? Additionally, flaxseed hulls are high in fiber (HMR lignans are not). If your oldie is sometimes constipated, adding flaxseed hulls to his diet may help. So, are we all on the same page that flaxseed lignans are good for dogs with Cushing’s? 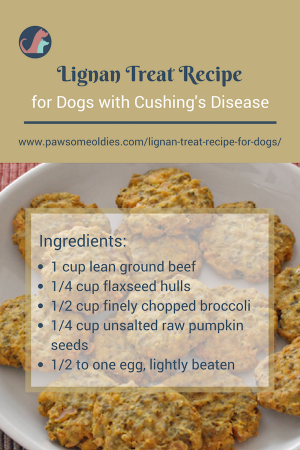 Let’s take a look at this lignan treat recipe for dogs with Cushing’s! Mix all ingredients except the egg in a bowl. Gradually add the beaten egg until you get the right consistency of a dough. Roll dough into 1-inch balls and put on cookie sheet. Press the balls flat into cookies with a fork. Allow to cool and store cookies in an air-tight container in the refrigerator. Since this treat contains meat, be sure to store the treats in the refrigerator. The treats will last for about one week in the fridge. But most likely your dog will have finished all of them before one week!